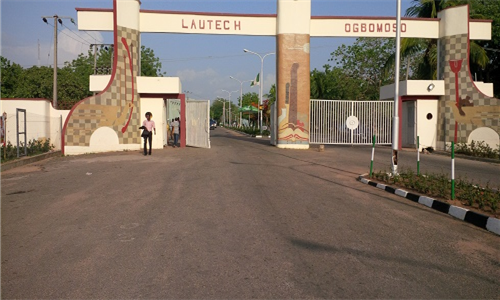 The new Pro-Chancellor and Chairman, Governing Council of the Ladoke Akintola University of Technology (LAUTECH) Ogbomoso, Prof. Oladapo Afolabi , has announced that the university will re-open in few days time. Osogbo Monday, alongside other new members of the Governing Council of the institution, disclosed that the new council was close to finding a lasting solution to the problems that have kept the university shut down for over a year. LAUTECH’s vice-chancellor, Prof. Adeniyi Gbadegesin and other principal officers of the university as well as members of the Governing Council including Prof. Lai Olurode, were present at the press conference. Afolabi said: “We had our inaugural meeting at the main campus in Ogbomoso on August 9, 2017, and charted for ourselves a 90-day action plan which has started in earnest. For instance, consultations have been held with the various unions, parent forum and traditional rulers. “We have also engaged the auditing firm, KPMG, and as I address you here, I make bold to inform you that we are expecting an interim report from the firm in a matter of days. It is this report we will be presenting to the visitors to the university. We have high hope that submission of this relief would go a long way in midwife get a lasting solution to the problems of LAUTECH.